Here are three new Ecuador opportunities. QUITO, Ecuador, April 26, 2010 (ENS) – President Raphael Correa now has approved an agreement to leave Ecuador’s largest oil reserves, amounting to some 900 million barrels, underground in Yasuni National Park in exchange for more than $3 billion. Under the unprecedented agreement, known as the Yasuni-ITT Initiative, the government of Ecuador will refrain from exploiting the Ishpingo-Tambococha-Tiputini oil field within the Amazon rainforest park, which scientists have determined to be the most biodiverse area in all of South America. The agreement between Ecuador and the United Nations Development Programme creating a trust fund to receive donations to the Yasuni-ITT Initiative was nearly signed in December at the UN climate summit in Copenhagen, but at the last minute, President Correa instructed his negotiators to hold back until several sticking points were resolved. See a link to the entire article below. The second opportunity comes in the form of a new shop in Cotacachi named Wakya. See Wakya here. The third opportunity is beginning this September. As of August 1st, Jean Marie Butterlin (whom we have been working with for some years) has acquired our Ecuador tour business. Delegates at our Cotacachi Super Thinking plus Spanish Course. Jean Marie has added some new tours and expanded the length of others, so see the new schedule below. 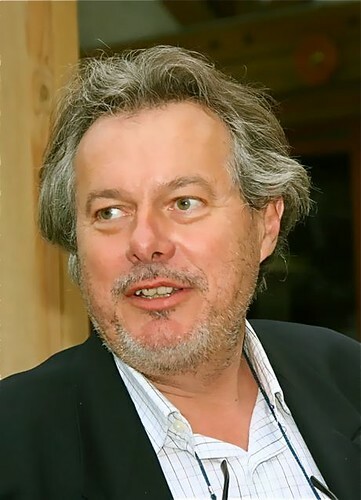 Jean Marie Butterlin, was born in France and after graduating in 1977 from the engineering college ICAM in Lille (France) moved to United States where he developed a homeopathic and dietary supplement business in Houston TX, with an aim at exporting the US made products into Europe, with emphasis towards Belgium and France. After living part time on both sides of the Atlantic he moved back in 2002 to Europe where he has a prosperous business in the natural health field i.e. phytotherapy, mineral supplements, specialty cosmetics, as well as Quantum medical technology, internet publishing for the anti-aging market. This quest for anti-aging remedies, products and techniques has lead him to discover Ecuador with its valleys of longevity, where he is researching and developing new approaches to live longer and better and bringing the new products and techniques to more and more people in the United States and Europe. Jean Marie moved with his family to Cotacachi last year. 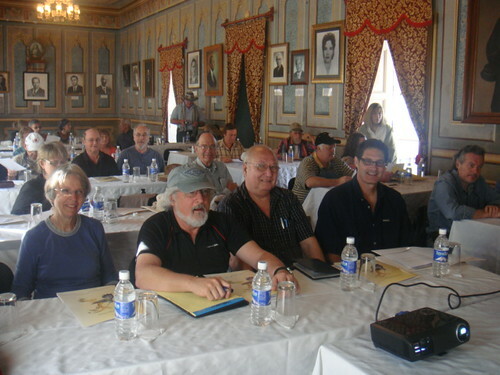 International club members will still attend all 2010 tours free. Delegates at a shamanic minga tour. See the updated Ecuador tour schedule below. * Indicates new added or expanded tour. 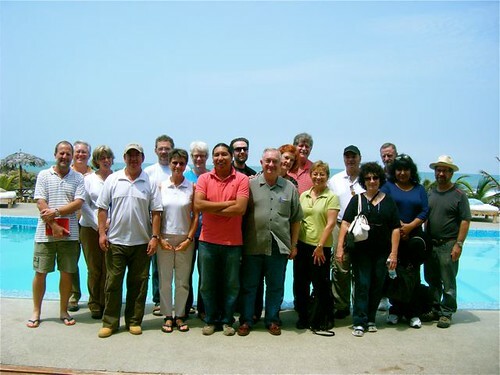 Delegates on a Coastal real estate tour. Delegates on an Imabura real estate tour. 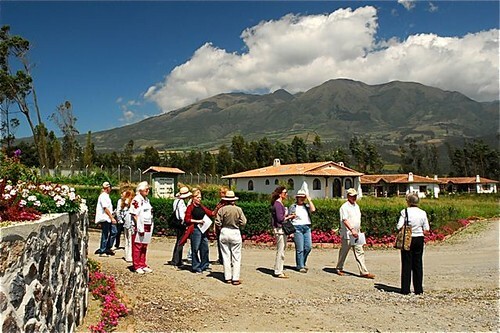 Oct. 22-23-24 * Cuenca Real Estate Tour (Expanded from two days to three). You can apply multi tour discounts in reverse. Enroll in multi tours. 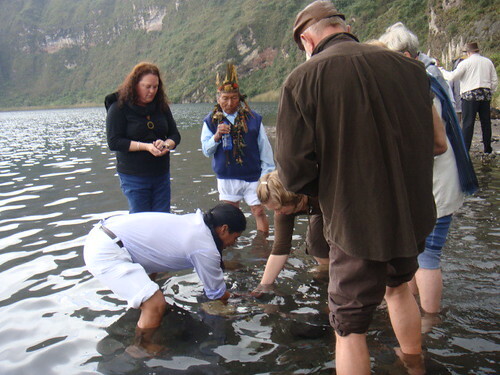 Learn about Ecuador in June, July, August or September and then include the October Quantum Wealth course in your multi tour pack.